Partnerships between schools and outside organizations are nothing new; many charter and private schools decide to use external resources to their advantage, teaming up with local nonprofits as a way to give students access to otherwise inaccessible resources. In 2001, one Dorchester charter school tried a unique approach, becoming the first high school to partner and be co-located with a community health center. Since Codman Academy’s founding, students and teachers have had innumerable resources at their disposal through a partnership with Codman Square Health Center. Benefits to the students include in-school access to behavioral, reproductive and urgent care professionals, and through the partnership organization students are screened each year for oral health, weight and height (with parent permission). Five years ago, another fundamental piece of the partnership was implemented through a summer internship program. This summer, 18 students from the Dorchester community have spent a large portion of their vacation interning at the medical center, working alongside professionals in departments including family medicine, prenatal health, laboratory and IT. One of the fundamental pillars of the Codman Squared organization is to provide students with the chance to experience a professional working environment, and this internship allows them to do just that. Every intern’s role in the health center varied. Shaneice, a recent Codman Academy graduate and incoming freshman at Bunker Hill Community college, worked in marketing; as part of her role in this department, she made sure to keep the health center looking presentable, kept Codman Square’s social media accounts up to date, and worked on the organization’s Wikipedia page. 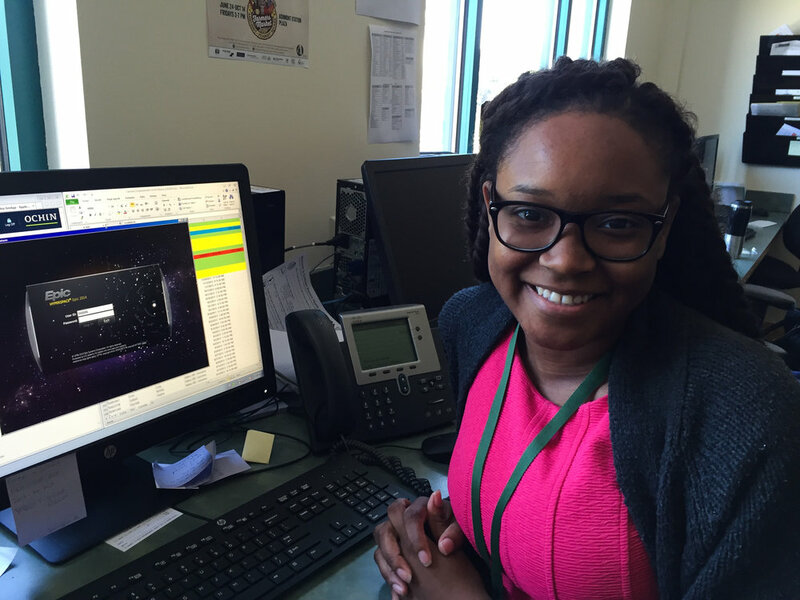 Osa Ikyelopor was another intern this summer, and, like Shaneice, he plans to go into business. As a part of the school’s graduation requirements, Codman Academy requires students to participate in a two-week internship at the health center during both their junior and senior years, and Osa says that this experience gave him his first encounter with a primary health care working environment. “I want to stay focused on doing business”, he says, “but when I had the [initial] experience of working at the health center I realized that people in the community need health centers”. Osa worked in the dental department this summer - he says that he eventually wants to open a business, and agrees with Shaneice that this internship has opened him up to the possibility combining his passions for business and health care by creating a product that “helps people”. Antoinette Webster worked in the Family Medicine department, shadowing nurses who taught her how to conduct appointments with patients. She says that this internship taught her how to “interact with patients and take their vitals”, and notes that while she doesn’t know what career she wants to pursue yet, her experience at the health center has made her more interested in working as a primary care provider. Esther, an intern in the Urgent Care department, plans to study communication design in college next year. While she also does not currently plan on going into the healthcare industry, she does note that this internship broadened her perspective significantly - “rather than sitting around all day this summer, I wanted to do something to get inspired”, she says - and this internship helped her do just that, as Esther played a key role in helping the dozens of people that come in for urgent care treatment each day. Other students went into the internship with the intention of gaining more insight into the public health field. Jala Chery, a public health student at UMass Amherst, spent her six weeks in the HIV/AIDS department, working on a campaign to end the stigma around the deadly disease in Dorchester. As a part of her initiative, Jala held a public forum among the group of interns, educating them about misconceptions surrounding HIV and encouraging everyone to get tested. The internship not only gave students a glimpse of what a primary care setting looks like, but through their experience at the health center students also had the opportunity to attend an info session focused on finding a solution to the community’s current opioid epidemic. At the session, which many Codman Square employees attended, Substance Abuse Program Manager Dan Hogan spoke about the dangers of opioids, and trained staff in how to treat overdosing patients with a drug by the name of Narcan. Everyone who attended, including the interns, received a dose of the life-saving drug - more importantly, however, students left the seminar having learned a potentially life-saving skill. Several days later, interns were invited to a session where Codman Square Health Center’s CEO, CFO and partnership director gave informative presentations on the every-day operation of the clinic. A handful of Brandeis public health students were there for the event, having come over for the morning to gain insight into the real life application of their major. The educational experiences did not end there - two weeks later, 13 interns travelled to the Harvard School of Public Health in Boston; while there, students were introduced to the field of public health, and then got to see real-life research in action. The interns were split up into two groups, and over the course of an hour were given a crash course by two tour guides, one who specialized in nutrition research and another researcher who is currently working on a method that will potentially allow deaf patients to hear again - simply by shining light of a specific wavelengths on certain ear cells. 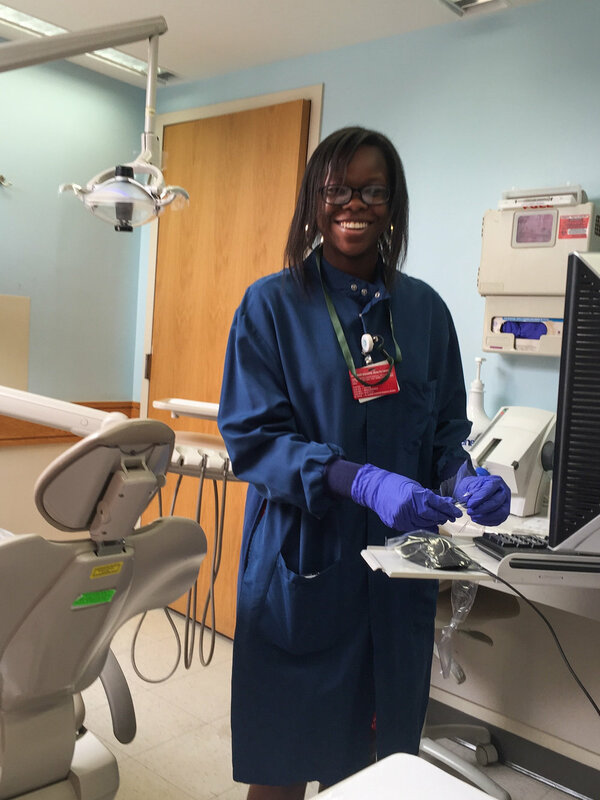 Many of the interns had previously been exposed to the healthcare industry as students at Codman Academy, but this summer internship experience gave most of them their very first glimpse into the inner workings of the medical professional world. At the end-of-internship ceremonies, five interns gave presentations about their experience at the health center. The consensus was overwhelmingly positive, as many of the interns commented on the “team” atmosphere within their departments and appreciated this six week introduction to the medical field. With the internship program going into its 7th year next year, Codman Squared hopes to expand the initiative to 25 slots.